We partner with a sustainable factory in Bali called the Tarum Dye Factory to create custom hues for our textiles. The fabrics are dyed in small batches, using plant based dyes made from tree bark and leaves. 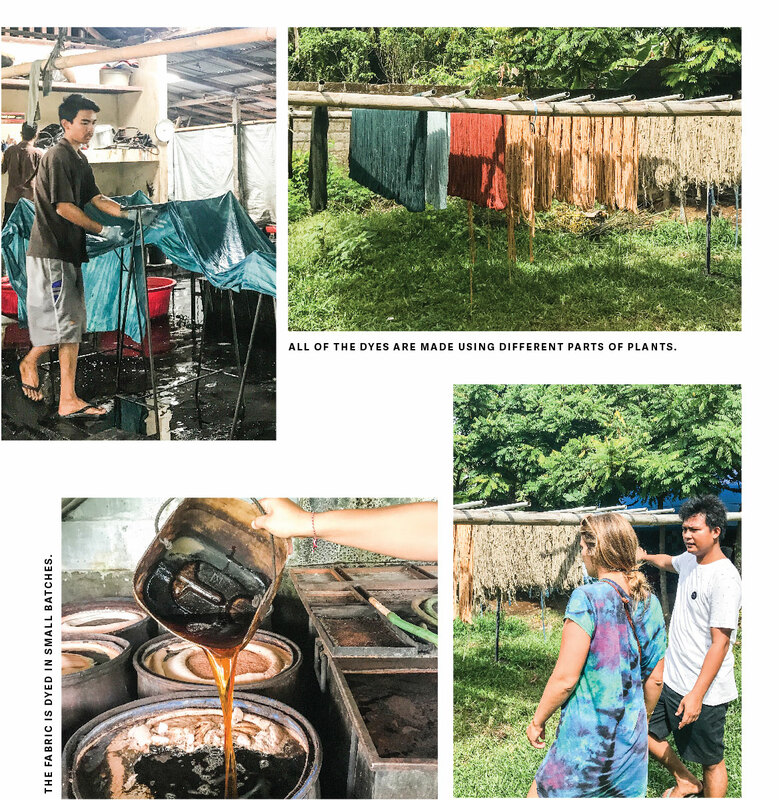 We partner with a sustainable factory in Bali, called the Tarum Dye Factory, to create a collection of napkins and throws that use plant-based dyes. They create custom hues using different parts of plants and trees. The process begins by cutting bark or leaves into small pieces that are fermented in boiling water. The fabrics are dyed in small batches. Once they finish the dying process, they compost all the leftover plant scraps. The factory uses zero-waste, sustainable practices to create their dyes. 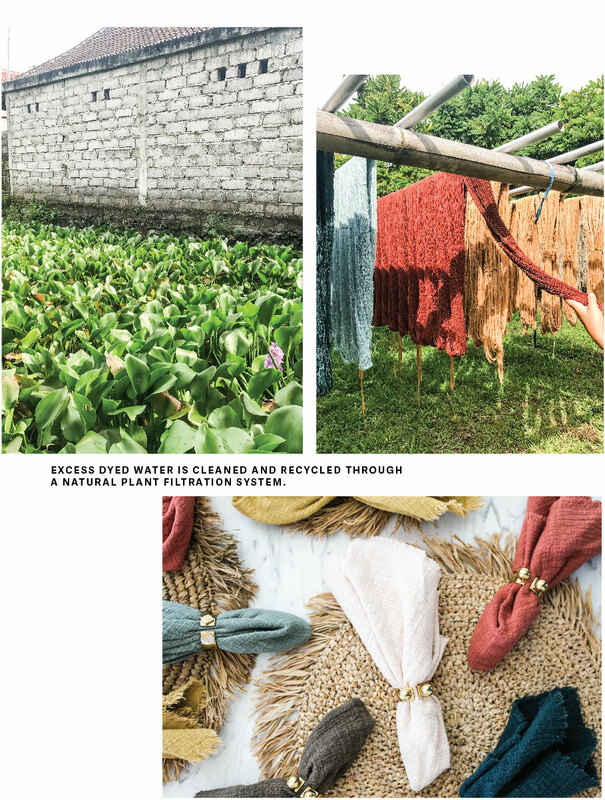 When there is excess dyed water, it’s run through a natural plant filtration system where plants absorb the excess natural dye, and the water comes out clear and ready to be used again. It’s a family run business, owned by the oldest brother in the family. They take great care of their employees and maintain a beautiful, plant filled workspace. They are passionate about using what nature has to offer in everything they do. They are patient with the long process because of their love for the earth and desire to take care of the environment.